30' oculus, the only light source in the building. Dome is high as it is wide. 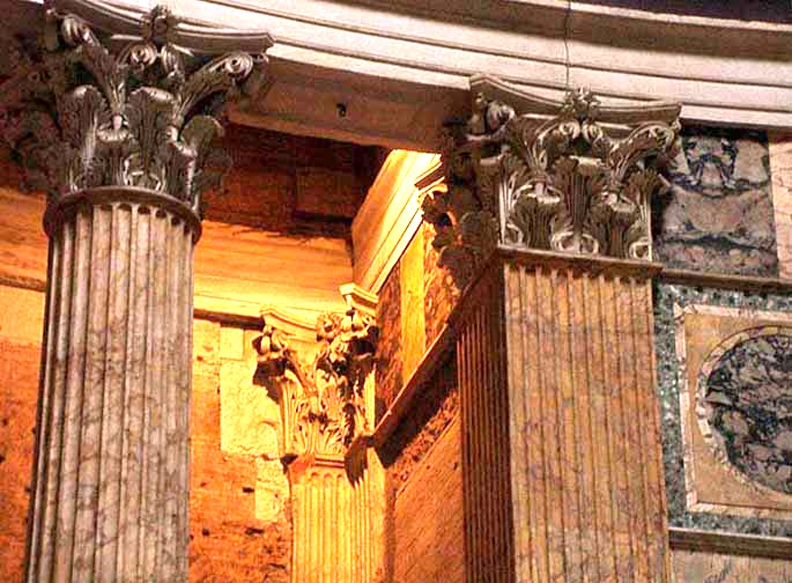 Coffered ceiling reduces the weight of the dome without compromising strength. A gilded bronze rosette was originally set inside each coffer to suggest stars in the heavens. 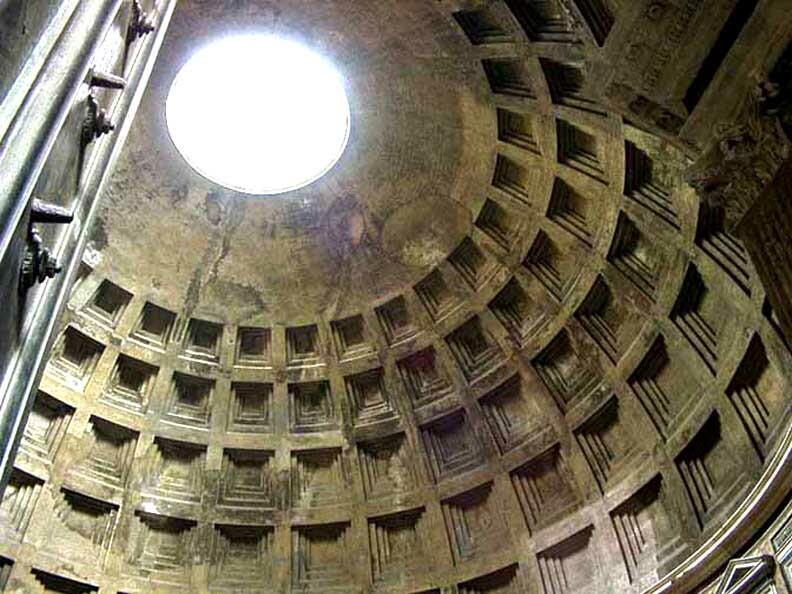 Base of the dome is 23' thick and made with concrete mixed with travertine, while near the top, it's less than five feet thick and made with a lighter volcanic rock (pumice) mixed in. 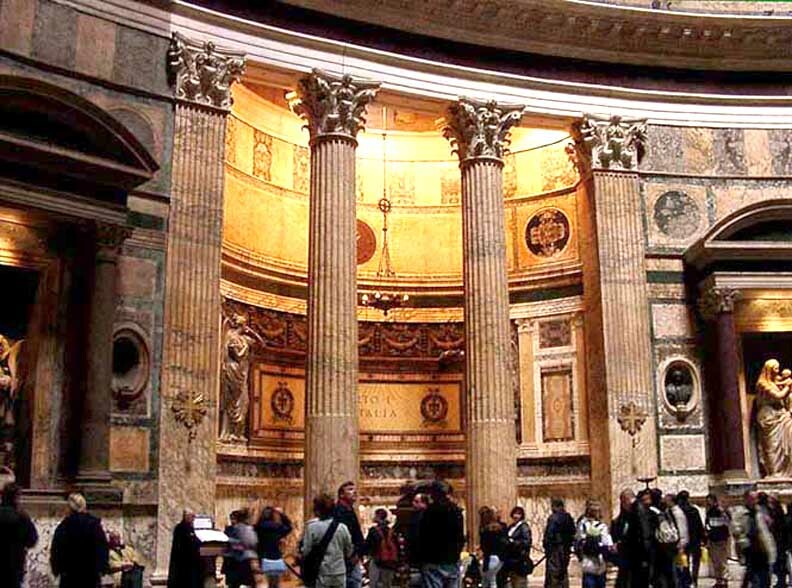 Pantheon turned into a Christian church in the 7th century: Santa Maria Rotonda ... 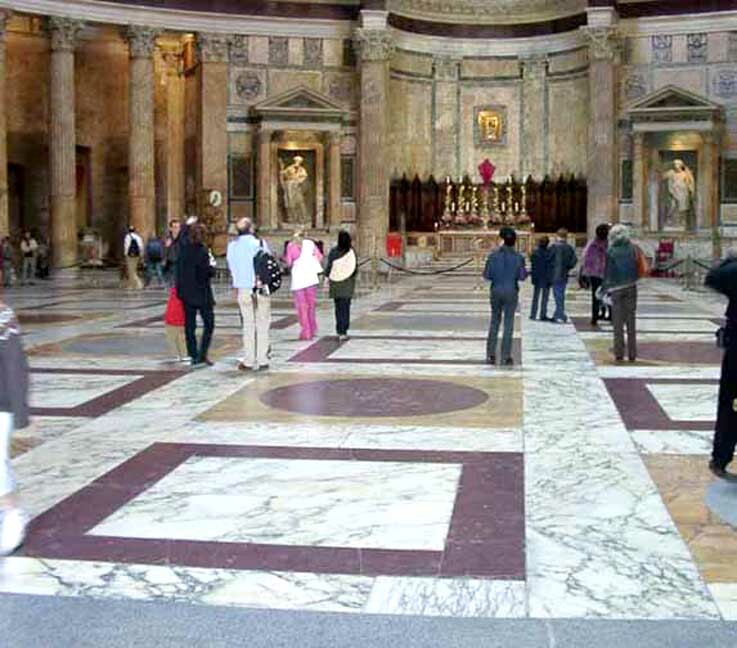 Some of the marble on the floor replaced, but original design maintained. A 30-foot-wide oculus (or round opening; the Latin word means "eye") at the apex of the dome is the only natural source of light inside. 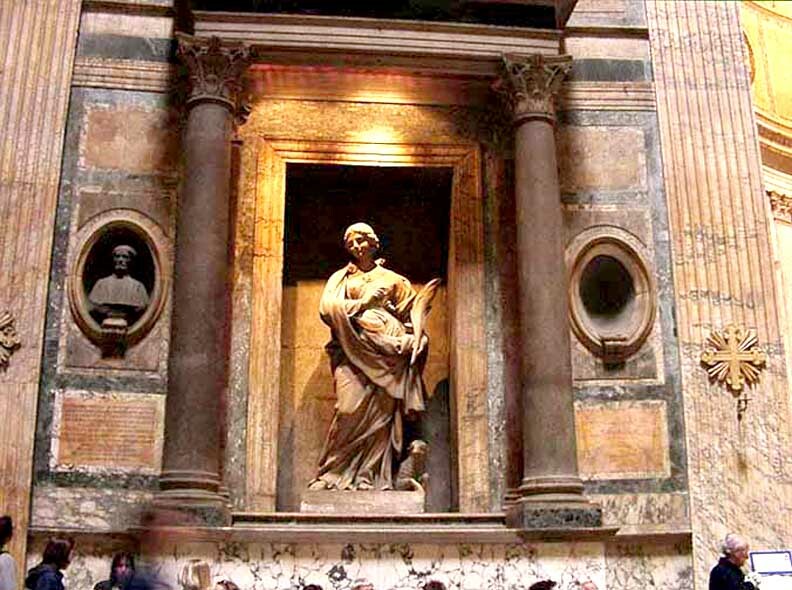 As the day progresses, a ray of sunlight travels across the interior, illuminating niches that formerly contained statues of Roman gods (the temple was dedicated to all the gods, or "pantheon"). A gilded bronze rosette was originally set inside each coffer to suggest stars in the heavens. The geometry and details of design create a cosmic symbol to match the purpose of the temple. What makes the interior so pleasing to the eye is the perfect harmony of its proportions. 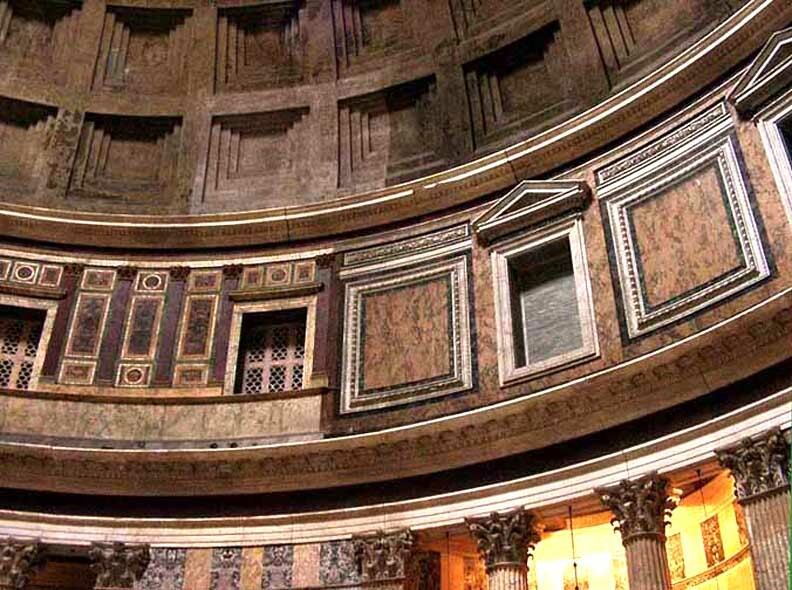 The width of the dome (142 feet) is exactly equal to the height of the drum walls. 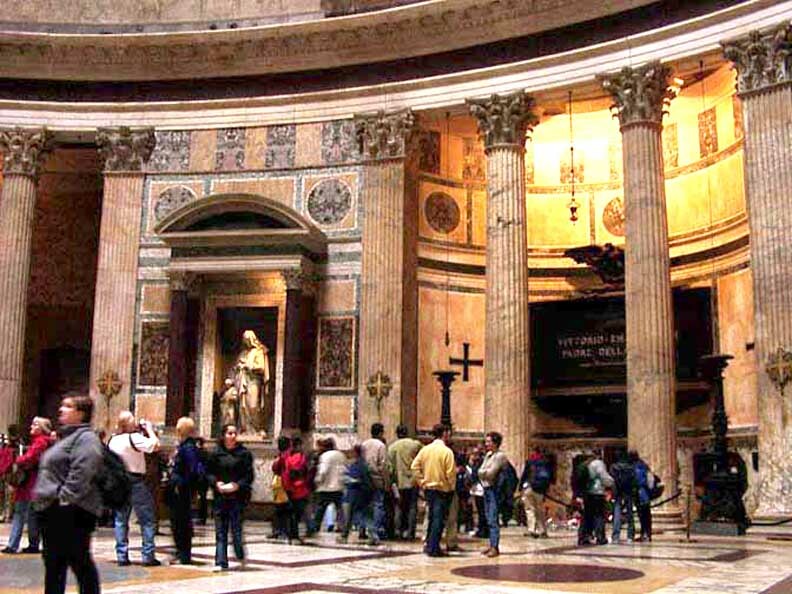 If doubled, the hemispheric dome would form a sphere that filled the rotunda and touched the floor. 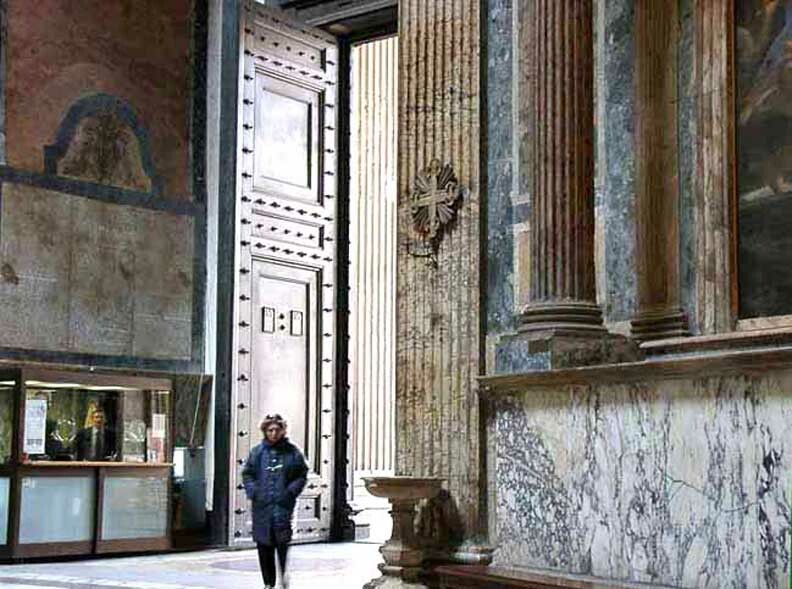 Interior surfaces are also richly decorated with multicolor marbles and bronze. 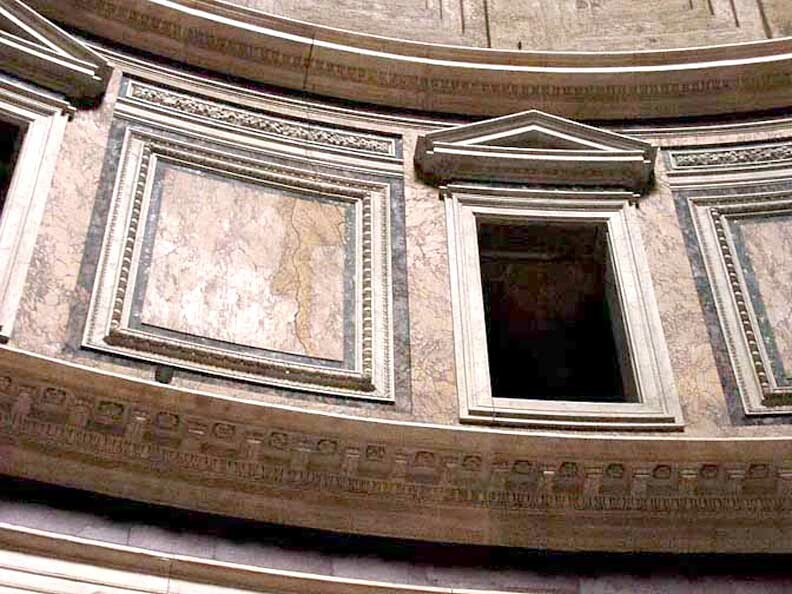 The floor, paved with disks and squares of marble, porphyry, and granite, reflects the coffered ceiling. A beam of sunlight falling from the overhead oculus travels across the surface of the interior, illuminating statues in niches and changing in intensity and color as the day progresses.